United States, Canada and the Americas. 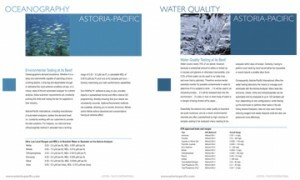 Contact one of Astoria-Pacific International’s representatives for your area. Astoria-Pacific International’s distribution network spans the Globe. Contact us and we will direct you to the appropriate representative, or find the Astoria-Pacific partner that handles your area of the world below. Would you like more information? Let us know what to send. Service Contracts are a great way to keep your system running at optimum levels. We have a variety of plans that can be tailored for your needs. We provide supplies and reagents for not only our own equipment but also for other systems as well. Do you have an old SFA or FIA analyzer? Good news!